A cogent discussion of the present situation. It seems to me that SpaceX has this down. For our current operational tempo, Falcon, Soyuz, and Arriane will just have to do. In a discussion elsewhere, I had referenced that the ideal situation is to use spaceborn resources via expendable launchers. Actually, that is not an "ideal" situation, just a more practical one. Expendable launchers are what we do well right now. What I wonder is can they be made cheap enough? If we refine the process, can we get the costs down to a point where space access is as cheap as we would like to think it is in a rocketpunk universe? Also, no one ever said we had to have an Astroliner on the pad. As long as it hauls the mail uphill, and can get us back down Apollo/Soyuz style, it seems to me that as far as moving people around it might be just efficient enough. Like the early air mail carriers, which crammed a couple of people into what was once space for only mail bags, getting to orbit might just be the tough part of the trip. Once there, ships might be assembled with Bigelow/ISS type modules, giving the crew more room. It seems that it could all go together fairly easily. It would bootstrap us using current tech (or nearest future tech). Need a bigger ship, add more modules. Kind of like a train. What do y'all think? It seems to me that advances in materials science and rocket engine technology will eventually lead to reduced cost of space launches; some will say decades, others centuries, a few will decide on millinia. Chemical fueled rockets will have an importaint role in space flight for a very long time; however, I don't think that it will be forever; various combinations of different propulsion techniques, including chemical rockets, should be explored to determine the best mix. I also think that none of this will be a smooth developement curve; advancing in fits and starts, sometimes cargo-on-orbit will lag behind launch cost/capability, and sometimes the other way around. It's so hard to determine what the future of space launch will be because of advances in secondary or support areas that have an unforeseeable effect on it. Innovations in seemingly unrelated fields might have a huge impact on space launch; or not. I seems to me that you can either be optimistic about the future of space travel, or pessimistic about it, to varying degrees. Hell, you could bounce from one to the other extreme daily. We can argue all day long about the future of space, but in the end, it will come about regardless of what our hopes or fears about it are. I recently saw something on 'metallic oxygen' which is formed under extreme pressures and is believed to be much better as a propellant. Combine that with 'metallic hydrogen'. Would that be enough of an efficiency boost to make the trip feasible? There's been a long standing trope about 'heavy world aliens', in particular about them being stronger. However, given the difficulty we've had getting off of Earth, I'd say that we're the heavy worlders and the 'space native' aliens would have originated on low gravity worlds, which gives them an early head start getting into space and thus developing space technologies. I would further posit that the non-space faring heavy world aliens would have analogous problems for simple atmospheric flight to the extent that would think very 2 dimensionally (unless water world). I think pessimism and optimism about the future of manned space flight/exploration/colonization/whatever is relative to one's personal acceptance of what we have learned about astronautics and astronautic engineering in the last fifty years. Yes, things aren't going to be anywhere near as easy and cheap as we once thought. But space access is not impossible, or particularly expensive if you have an application that justifies the cost. So what if it's going to take centuries or millenia to achieve a civilization in space? If you think it's important for Mankind to access and live in space, the fact that we can't rule that out should be enough for you...unless of course your primary interest is in seeing it personally. But this isn't supposed to be about us as individuals, is it? The likely reason why current attempts at finding alternatives to chemical rockets reek of desperation is because those aren't attempts at finding alternatives to chemical rockets. They're really trying to find alternatives to Atomic Rockets, pun very much intended. If project Orion was indicative of Nuclear Pulse Propulsion performance then we've had the capacity to put tens of thousands of tons into orbit a year since the mid-sixties. There are 3 main reasons why we haven't been doing this. Firstly, the expected environmental and health issues, which LIMITED research says could be minimal or even beneficial. Secondly, political reasons, there are multiple treaties that ban the use of nuclear weapons in any context and the general fear/hatred the public has against nuclear weapons. Finally, there hasn't really been a a need to put that much in space, though that could change by mid century as conventional metal deposits are depleted and asteroid mining becomes competitive. My personal opinion is that we should always have a few Orion type vessels ready for use in deflecting asteroids. but those are both technologies that are far enough in the future that they're not really answers to our current lift problems. both technologies should be worked on while we improve our convetnional launch abilities (if for nothing else, to create a bunch of useful "spin off" technologies). the main reason they seem to be such desperate alternatives today is because the media prefers to hype up such things rather than cover the real advancements, even when the hyped up items aren't actually being developed as solutions to our near term problems. Something I think a lot of people don't get is that launch services customers have no real incentive to buy rides on reusable launch vehicles. They are concerned that their payload gets into the right orbit in condition to perform its mission. To them, launch vehicle reusability is a moot point. So, I can hear people say, then the customer should benefit from a low-cost, reliable solution. Well, yes, all other things being equal, that's true. But we've learned over the years that reusability comes at a certain cost. So for reusability to be attractive, it has to lower the total launch campaign cost significantly below that of a smaller, less complex, and/or boosterless expendable rocket. Well...it turns out that reusing launch vehicle hardware may not be all that less expensive. First of all, one has to pay for the effort to recover launch vehicle stages. That generally means dedicated at-sea recovery forces, plus the time expense of going to and from the recovery zone. Also, launch vehicle components undergo a wide ranges of intense dynamic stress during operation. They would have to be totally or almost totally disassembled and reconditioned after every use. Ablative coatings would have to be removed and replaced, structures would have to be inspected and certified for continued use, engines would have to be uninstalled, disassembled, cleaned, inspected, reassembled, and reinstalled. In the end, most of the cost of building the stage in the first place are recapitulated in refurbishing it for reuse. About all that is saved is some material and fabfication costs for actual pieces of hardware. But, rockets being precision machinery, material and fabrication are a minor part of the equation. In the end, the buyer has no real incentive to insist on reusable launch vehicles. And without buyers insisting on them, the launch services provider has no real incentive to operate them. And the contractors that make the launch vehicle components? Well, they make more money the more hardware they turn out. None of this is evil, irresponsible, or incompetent. Launch vehicles just operate in such a difficult environment that throwin them away after one use actually makes business sense, even when reusability is a proven concept. Reusable may play a bigger role when it comes to not cluttering up our orbital space. A possible space industry may actually be producing 'Return To Earth' devices for safely getting stuff out of orbit. Possibly as a byproduct of the asteroid mining. So with your 'waste product' from the asteroid mining, maybe you produce some sort of ablative aeroshell that gets de-orbited and sent back down the gravity well. Launch vehicles could be sent back down that way, as well as actual space product. That way, your launch vehicles don't need any of the return equipment. Now, I realize that means getting a lot of infrastructure up into orbit in the first place, but that's kind of the point. We 'want' to have that sort of space based economy/population. So, we stick a few people/industries up there that help bootstrap the rest. And then we hope that the system gets self sustaining before people lose interest in space. I'm not so down on laser launch, if the vehicles are very small (as you'd want them to be, to reduce the size of the laser array.) The obvious market for such a system would be delivery of propellant to orbit depots, since liquid propellants are arbitrarily divisible. "...maybe you produce some sort of ablative aeroshell that gets de-orbited and sent back down the gravity well. Launch vehicles could be sent back down that way..."
The biggest and most expensive part of the launch vehicle, the first stage, cannot be recovered that way, because it doesn't go into orbit. Now I'm going to surprise a lot of people and make an argument for reusability. But I'm only going to make that argument in the very narrow context of the first stage. As stated above, the first stage is the biggest and most expensive part of the launch vehicle. It also existis in a unique dynamic regime WRT the rest of the launch vehicle. The first stage alone can be modified in size and configuration without affecting the way the rest of the rocket is sized and operated. All it has to do is put the rest of the stack at a certain spot in space above the Earth, at a certain heading and velocity. And it doesn't have to experience the full reentry experience to be recovered. So, if a reusable first stage needed to mass twice as much as an expendable one, that's fine. It doesn't make the rest of the rocket bigger or more complex, except maybe at the 1st/2nd stage interface. If you can operate a reusable first stage at a significant cost reduction over expendable ones, there might be some incentive to do so. Of course, it's got to be a really significant cost reduction, even after counting the extra fuel used and refurbishment for reuse. But it might just be possible, for payloads up to maybe 10,000 kg. "I'm not so down on laser launch, if the vehicles are very small (as you'd want them to be, to reduce the size of the laser array.) The obvious market for such a system would be delivery of propellant to orbit depots, since liquid propellants are arbitrarily divisible." Propellant depots are useless in LEO except for exploration missions. And that would require dedicated depots -- one per mission. And using laser launch to enable them would be like filling up a gas station storage tank a bucket at a time, transporting the buckets individually, each in its own delivery truck. There's also the possibility that a reusable air-breathing first stage (in other words, a big fast airplane) can have other applications. I wonder if anyone has worked on using existing aircraft as the first stage for a small or medium-sized satellite launcher? Back during the Nineties boom there were some designs on the table for a supersonic trans-Pacific airliner; how useful would one of them be as a first stage? "There's also the possibility that a reusable air-breathing first stage (in other words, a big fast airplane) can have other applications. I wonder if anyone has worked on using existing aircraft as the first stage for a small or medium-sized satellite launcher? Back during the Nineties boom there were some designs on the table for a supersonic trans-Pacific airliner; how useful would one of them be as a first stage?" Angle of ascent of 70-80 degrees from the horizontal. Rockets are just that powerful. The old OTRAG seems to have been such a system, with nothing reusable but plenty modularity and mass producibility. From what I can understand it seems to have been a failure more for political reasons than technical/economical. As Armadillo Aerospace is in contact with the old OTRAG founder, maybe we will see something come out of this. "LEO is merely halfway to an independent solar orbit that escapes Earth, but then goes nowhere in particular." To be fair, if you can stop at your destination through aerobraking, that could be enough. "With nominal additional delta v, great ingenuity, and enormous patience, you could indeed exploit the 'interplanetary superhighway', but in spite of the name that is the slowest way to get anywhere." And just so we're clear, that's not slow in the sense "you need to be patient", it's slow in the sense of "your astronauts will literally be long dead of old age by the time they arrive at Mars". As for robotic probes, even the great expense of the ones we are able to send today is still cheaper than founding an orginization that will continue to monitor the probe and will still remember (and care) what it was supposed to be doing a thousand years from now. The planetary sidewalk is interesting in terms of understanding how things like meteors might have made their way to Earth (the one that killed the dinosaurs is in particular accused of having taken this route), but now we're talking about something approaching geological time scales. Other than that, beyond (at a stretch) the Hill sphere of a single planet, it is simply not useful and people should stop talking about it. "Another way to look at this is that if we had a classic reusable orbiter, capable of being turned around for re-launch every few days, it would be grossly under-utilized." If we had cheap space launch, people would make use of it by launching, if nothing else, more and bigger scientific probes - and possibly also more commercial ones, although I'm not sure how much the market for that would be. And don't bring up that the probes themselves are also quite expensive. The reason they're expensive is because the extremely rigorous reliability requirements, because it's a tremendous blow if you spend all that money to deliver a probe to Titan only to have it fail on you. If space launches were cheaper, we could afford to invest less in any single probe, and just send many with the confidence that's it's no big loss if a few fail. "Because the Shuttle failed to provide routine biweekly space flights, the thinking seems to go, we should abandon chemfuel rockets entirely in favor of almost purely speculative technologies. I doubt that this is either necessary or viable." It's a regular thing in history for people to run up to the limits of a technology, then develop a new technology to replace it. Which is not to say that we can reliably speculate in advance what it'll be. It could be something we haven't even discovered yet. "Expendable launchers are what we do well right now. What I wonder is can they be made cheap enough?" This can be accomplished by making the raw materials cheaper (finding better mining sites or improving refining techniques) or by developing more efficient manufacturing equipment (Star Trek replicators are magitech, but we can probably automate more than we do today). Cheaper energy would also help, by making brute force techniques more affordable. How much this can plausibly drive costs down in the near future I can't say, but it doesn't run into any of the same laws of physics that make reaching orbit in itself difficult. "There's been a long standing trope about 'heavy world aliens', in particular about them being stronger. However, given the difficulty we've had getting off of Earth, I'd say that we're the heavy worlders and the 'space native' aliens would have originated on low gravity worlds, which gives them an early head start getting into space and thus developing space technologies." Head starts are irrelevant. Even if you ignore species evolving at different times, fluctuations in civilization and technological progress can easily slow them down or speed them up by a couple thousand years. By the time aliens are in space, we know that they've made it into space, regardless of how long it took them to get there. If the heavy gravity is such a handicap, then eventually they may lose interest in their homeworld as an obsolete backwater or more flatteringly a nature reserve (humans evolved around Ethiopia, and the first civilizations were founded in the Middle East, yet neither of those are particularly wealthy locales today), basing most of their space operations from a lower-gravity planet or moon that they've colonized. Besides, we'll never meed any aliens unless we (or they) have FTL travel, i.e., magitech whose limitations and relation to gravity is largely impossible for us to discuss at this point. As for strength, there are many other things that can affect a species' strength besides just the gravity it evolved (or grew up, since it's often speculated that humans would automatically develop stronger muscles and bones in higher gravity) in. Besides humans, two of the most intelligent animals on our planet are crows and elephants, which grew up in the same gravity field, but by no means have the same strength. One uses small stick as tools and the other uses tree trunks as tools. Finally, remember that by the time you're a space-age civilization, physical strength is going to matter very little towards your space armada's firepower - if anything, having tiny crew members would be an advantage because they and their life support take up less mass, and the hull-mounted guns are equally powerful regardless of the size of the buttons activating them. "A possible space industry may actually be producing 'Return To Earth' devices for safely getting stuff out of orbit." We already do that. Of course, we mostly don't waste money getting the stuff down intact, we just order it to throw itself into the atmosphere and burn up. Because aside from launch vehicles, stuff in space is likely designed to be used purely in space, and so you have no real motive to pull it out of space unless it's exhausted all useful purpose. If you do need something to come down intact (say, a scientific sample return mission), then you can design it with it's own parachute and heatshield rather than having a dedicated recovery shuttle. We should be extremely skeptical of OTRAG because it had just too much inherrent unreliability. The propulsion units had to be mass produced in such numbers that they could only be given relatively cursory individual certification testing. Combined with the sheer complexity inherent in using so many components at once, that made engine failure during ascent almost certain. But each unit was self contained, so each unit that failed in flight would render whatever fuel it had left unusable. So engine out conditions could only be remedied by adding more engine units, and more engines on top of that to lift those engines, meaning more complexity and chances for failures. OTRAG also required the ability to shut off every engine at an arbitrary time, because each individual stage on each individual flight would have a unique, but almost certainly off-nominal, shutdown time. It would depend on the overall reliability of the propulsion units how much thrust over time the stage achieved, and thus when it needed to stop working and trun the job over to the next stage. Here's another opportunity for the massive complexity and relatively low unit reliability of the OTRAG system to cause problems. Something as simple as a data cable shaking loose or shorting out could cause a unit to keep firing after shutdown time. It's a good likelihood that several units on each stage won't shut down on time, with an unpredictable (at launch) amount of fuel left to burn in each. This is going to cause all sorts of havoc in orbital insertion accuracy. Of course, on the other hand, all of this can be accepted and lived with, but only if the top stage of the stack is a monolithic liquid fueld stage of conventional design, with enough delta-v to compensate for any lower stage off-nominal performance. But any fuel that is excess to the process in practice is payload that could have been put on the rocket but wasn't, because 90% of the launch vehicle was such a rough-running monntrosity (compared to what can be achieved with more expensive but ultimately simpler and more reliable systems). Is anyone here familiar with the Skylon spaceplane system being developed mostly by the British company Reaction Engines Limited? I like your idea about launching fuel packets via lasers. Some laser propulsion designs ignite the air below them--you could send fuel into low orbit without using any fuel in the process. Another potential use for laser launches would be nanosatellites. Research groups might want to develop these for gathering data on their own. Instead of asking for the use of somebody else's satellite, you might launch your own. Welcome to several new commenters! OTRAG is one of those cases where the promoters' business strategy was so bad that it leaves me dubious of the technical side as well. But more to the point, large traffic demand would make pretty much any launch technology cheaper, by enabling economies of scale. I used to live not too far from Vandenberg, and the most basic fact was that it involved the infrastructure equivalent of a major airport to support about one launch per month. Imagine how much air travel would cost if large airports only had one flight per month. I suspect that airbreathing could eventually become a key to (relatively) cheap launch, but only when traffic demand justifies a VERY demanding development program. And even then the technology remains iffy. The airbreathing phase needs to reach at least about Mach 10, and by that point the heat soak becomes brutal. You need a lot of very complex, expensive plumbing for heat management. And even then, the rocket ascent stage/phase still needs to deliver some 5 km/s of delta v.
Put another way, I think this is worth a long term development program - just the sort of thing NASA should be doing - but with the understanding that it may just be a bridge too far. On Orion, I believe that the political outrageousness has drawn attention away from the mere technical hurtles of nuking yourself thousands of times, at pretty close range, to get into orbit. The vehicle needs to be extremely ... robust, to say the least. ...well, it would be an interesting launch to watch from a great distance. Back during the Nineties boom there were some designs on the table for a supersonic trans-Pacific airliner; how useful would one of them be as a first stage? Cambias and Tony: We're now 60+ years into supersonic flight, and no air force has pushed large supersonic bombers/transports past Mach 2-3: the B-58, XB-70, B-1 have all been uneconomic, "it can be done but..." hangar queens. Ditto for civilian airlines (Tu-144, Concorde); plenty of zoomy design proposals, but there's no sign Boeing, Airbus et al. will ever pursue it on their own dime. If the much larger military and civilian markets won't justify development of a Mach 5-10 uberplane (which is what you'd need to really make a difference in launch economics), our desire to get a few hundred tons a year into space more cheaply sure as hell won't. If it ever happens, the terrestrial-transport dog will wag the space-access tail, not the other way around. See all the discussions of "the Shuttle that should have been" in which people lament that NASA wouldn't spend enough for the winged first stage in early designs. Those were to be 16- to 30-engine beasts 3x heavier and 3x-4x faster than the Concorde -- plus the little matter of getting a safe separation of one complex hypersonic shockwave into two, which was (and remains) unknown territory. I was there as a science writer at the time, and fully endorse Charlie Donlan's assessment quoted in Heppenheimer: "It wasn't until... we had a hard look at the reality of what we meant by fully reusable that we shook our heads saying, 'No way you're going to build this thing in this century'... thank God for all the pressures that were brought to bear to not go that route." IOW, it wasn't a question of money -- we did not know how to do it then, and we don't now. It seems to me that if a stack of fuel tanks with rocket engines on the bottom (simpler than a modern jet engine, no?) is outrageously expensive, new and radical launch technologies won't help any. What are you saving? Fuel or structural elements? They don't cost much, fuel especially. My knowledge of the economics involved is limited, but it does seem to be an issue of scale. There's nothing fundamentally so complex about a chemical rocket that it should cost so much. Perhaps we should really start looking at more complicated alternatives once we have 'airline-like operation', not in the sense of rockets that look like airplanes, but in the sense that launches are very common and fuel costs significant. I'm thinking air breathing first stage, so that most of the propellant can be hydrogen. At the lower altitudes, it will be bearing the brunt of the friction load. Then, on separation, the shell splits away carrying off the head load and the second stage (with oxygen) accelerates the payload into orbital speeds. This is sort of a variation on the Pegasus system (which uses an airplane first stage). The first stage, being an air breather, can actually return to base under its own power, although it still has a huge heat load to dump. The key components to the second stage would wait in orbit for de-orbit aeroshels to be built for re-entry. Meanwhile, solar-electric tugs would catch launches (and clutter ala Planetes). One of the benefits of the air breathing first stage (and the Pegasus system) is that you don't have to wait for launch windows, you simply fly to an open window and go. To clear up any misunderstanding: I totally agree with Monte about air-breathing first stages. That's why I labeled their achievement of rocket-derived first stage performance goals as "highly unlikely". I don't remember reading them when they were first published, but I may have. One will certainly find much in agreement with the attitude I've expressed here over the last few weeks, from somebody that has an inside track on the industries and institutions involved. Citizen Joe: you have combined two bad ideas (air breathing first stage, and hydrogen fueled first stage). Two bads do not make a good, they make a worse. Going back to first principles (and setting aside economics for a moment), the key problem in launch to LEO is providing enough energy to accelerate your payload to orbital velocity. Two approaches are possible with today's understanding of science and technology (and tomorrow's as well); to reduce the mass of the vehicle and payload using advanced materials science; and, separating the energy source from the vehicle. With our current understanding of things, both ideas are in the "advanced R&D" phase. Super materials like Graphine, fullerine and advanced composites exist and can be produced in limited quantities. Advanced composites have come far enough to make up a considerable proportion of a Boeing "Dreamliner", and reduce the weight enough to promise a 20% reduction in fuel burn compared to a similar all metal airliner. A 20% reduction applied to the Space Shuttle reduces the fuel load by @ 400 tons, which would mean a smaller, lighter tank and follow on reductions in the mass of the launch stack. This isn't the Earth, but a potentially good start. If we take a hypothetical graphine based shuttle vehicle weighing 10 tons as opposed to 100 tons, then the compound effects of lower fuel mass and so on would make launch much easier (you would not need engines capable of producing multiple Gigawatts of energy for launch, for example). Separating the energy from the vehicle would also have similar effects. If the Space Shuttle used laser energy to heat the hydrogen propellant, then 629,340kg of LOX could be eliminated. Even the amount of LH2 would be reduced not only taking the huge mass reduction into account, but also because the pure Hydrogen engines would have a much higher ISP (probably around 800 to 1000 seconds) and would therefore be much more efficient. As has been repeatedly pointed out, there needs to be economic and political justification for doing these things, which leads us back into McGuffinite or other handwaves to get to that point, but there is at least a technical basis to easier space access once the McGuffinite question has been answered. That article is pure hogwash. It's written by a known space commercialization accolyte. (Just google his name.) It's pretty apparent from the article that that's what he's interested in promoting, no matter what Space Shuttle experience actually tells us about his underlying assumptions. We have no idea how carbon-based super composites are going to behave under cryogenic conditions. I'm willing to be not so well, because nothing comes for free. Super mechanical properties in one regime probably mean poor or even awful mechanical properties in others. Not that any of this is proven, but from what I know of materials science, that's the way to bet. WRT laser launch, as already pointed out numerous times, it's an approach that requires a mass production capability to make even on piece. Please, Thucydides, do not recapitulate the argument of scaling up from the micro to the macro. It is true that one might launch a whole bunch of microsats for not much infrastructure investment on industrial investment scales, but it will still be very expensive per sat. It's hard to imagine a market for that to begin with, much less a market for scaled-up applications that are imagined to come after proof of concept on the micro scale. Solve the McGuffinite problem and you may come up with a demand for laser launch, but not before. This says something about space launch economics in general. For decades, everybody, from NASA to the smallest startup, has insisted that if you build it, they will come (to borrow a well-worn cliche). But that's not true. Space is too expensive and demanding for that. The real law is that if they come -- with enough money -- somebody can build it. The Shuttle was built for enough money, though nobody came to use it. Elon Musk put enough money into SpaceX to get more investors and attract buyers, but SpaceX, just like Boeing and LockMart -- and Douglas, Rockwell, Martin Marietta, North American, and Grumman -- is only going to build what people come to them to buy. I know Thucydides wanted to exclude economics from the argument. But you can't. YOu have to face tham and live with a reality that you can build only what you can sell. And if you manage to sell something that can't work as advertised, you may have made a sale, but you're not making progress. NASA, with the Space Shuttle, may be the most egregious offender in that regard. But that doesn't mean some commercial huckster that comes along and gets somebody to finance laser launch or super material rockets is going to be nay more successful, just because their scam is privately funded. If they can't make it practical, for either engineering or business reasons, they're not going to make it work because it matches somebody's philosophical imperatives. Just out of interest... has anyone seen any non-reusable SSTOs in fiction anywhere? The few non-reusables I have seen have all been multistage, and more reusables are SSTO or TSTOs. Ahem, MOST reusbles are SSTOs or TSTOs. I'm quite surprised that there's only been a single mention of Skylon so far, because it is exactly the system some of you seem to be wanting. The design is intended to be an SSTO fully reusable spaceplane fuelled by hydrogen and using an airbreathing running mode for the engine during early ascent, switching to onboard oxygen higher up. The magic component that makes it all work is the precooler, which drops the temperature of incoming air low enough that you can pipe it through the engine and and feed it into a fairly conventional cluster of rocket engines. The precooler is also the component that just passed a live test last month. The magic component has been proven to work, and all the rest is just tricky but ordinary engineering. Please longbeast, read the comments on SSTOs on the previous post and on earlier ones. Skylon in an engineeriing impossibility. Please don't try and contradict what I've just said and go read all the reasons why- specifically anything that commentator "Tony" has said. Sorry to be critical so soon after you've posted, but there's been a debate on the feasibility of SSTOs which lasted for too many posts. If you still disagree then please don't say "but previous inventions were thought impossible! "- that comment has appeared way too many times here. Its a fascinating idea, and the technological benefits of such a project might be great, but the thing will not work- the engineers are working on a false but wonderfully ambitious assumption. the craft in the ideal spot before blasting into orbit, a plane/rocket combination is too complex to be useful- air is found on a fraction of the way up anyway. Finally, there just isn't the market for the 200+ craft proposed. Not enough stuff to take up there. There's a reason why government funding is rather minimal. Ugh, I'm being horrifically negative aren't I? If it helps, while that project is impossible, I'm still rooting for the impossible to happen. I believe there are several factors at work, some for and some against the air breathing/airfoil approach. Air can be used as remass. All of those factors interact with each other in various ways often depending on altitude. I'm sure some mathematician could come up with a formula that says "you need X lift/drag ratio for this to work where X changes with altitude" and then until you come up with that design, you may as well not even start. By contrast, rockets pretty much ignore all that and say "lets just get out of the atmosphere and then accelerate to orbital speeds." It works but it is just proof that with a large enough engine we can make a brick fly. I do think that the air breather, when it comes to fruition, will be more along the lines of a flying launch platform rather than an actual booster. The usefulness stems from flying to existing launch windows rather than being restricted to when the weather is cooperating. Now if ground based launch windows are such that they open up on an hourly basis, then that has no grounds. That could be done with multiple space tugs in orbit that could grab payloads. If you miss a window, the next tug will be along in an hour so it isn't a big issue. But if you miss a window and have to wait a month, that is not acceptable. Re: Laser Launches. Yes that's a big infrastructure, however, if that spawns other industries then the cost can be spread out amongst those as well. Microwave beamed power might be a good field. You can develop the microwave arrays for terrestrial use and only direct them up when the passing vehicle needs the boost. Also, if space solar picks up, you'll need that technology for transmitting the energy back to Earth. As a bonus, you can solve the hunger problem with all the pre-cooked squab falling out of the sky. "Just out of interest... has anyone seen any non-reusable SSTOs in fiction anywhere?" It's probably been used occasionally, but perhaps mostly in not-hard-science-at-all settings where the plot just called for a one-off deal like putting a satellite in orbit, but didn't particularly care to research how it's done. "As a bonus, you can solve the hunger problem with all the pre-cooked squab falling out of the sky." I think that I'll wait and see about Skylon before making any judgements about it. When and if the prototype flys, then we'll see if it is "impossible" or not; until then, like I said, I'll wait and see. What if we work the problem with several components? 1. A fixed magnetic induct track, with boosters attached to a HL-20 type personnel transport. As the HL-20 reached altitude, it meets up with a rotating momentum transfer bolo tether. The HL-20 is hauled up to a higher altitude, where it rendezvous with another momentum transfer tether, into orbit. 2. Or another way would be to use an AN-225 type heavy lifter as“air breathing” first stage. Take the same HL-20, with a booster, lifted to 45 or 50 thousand feet and then launched, with the bolo-to-bolo trapeze act to push the ship to orbit. 3. Or, by using economies of scale, producing low cost core rockets that could be bundled together to create different combinations based on the required lift. The HL-20 or other payloads are mounted on top, in standard fashion. WRT economics, I did say that in the post; if the McGuffinite problem is addressed then super materials or beamed energy propulsion (or both in combination) are the next logical steps to making easy access to orbit possible. Super materials may make an impact in conventional rocketry between now and then (whenever then happens to be) to provide improved performance in the manner that composites have improved Boeing Dreamliner performance compared to all metal aircraft, which should have some interesting effects on space access, but not earthshaking ones. Longtime readers know that I have a complex double relationship with the space tropes of the 20th century - I love them and cheerfully write about them, but I'm not sure they have all that much to do with the actual human future in space, at least in that good old plausible midfuture. Skylon is totally cool, but a) it sounds too good to be true, and b) my technical knowledge base is not sufficient to overrule (a). Something to keep in mind is that in the 1960s it was natural to presume that aircraft development, including civil aircraft, would continue as it had since the 1920s - with dramatic, decade-by-decade revolutions in performance. Putting it another way, airplanes were still in their Moore's Law stage of development. But two things happened. One is that supersonic flight is a LOT tougher than high subsonic flight. The other is that high subsonic flight is fast enough on most routes that the market is not that excited by further speed increases. Hence no hypersonic aerospace liners (that could be adaptable to space access), because even if they are technically feasible, no one is going to pony up $50 billion to develop one. That said, I think there might be some long term possibility of an airbreathing first stage, because space economics is very different from aviation economics. Tony wrote: Super mechanical properties in one regime probably mean poor or even awful mechanical properties in others. I can't forget a late 1980 exchange with Discover's first editor, a great guy who'd long been caught up in the space race -- and acquired a taste for gee-whiz bigger/faster facts -- as writer/editor at Time. I was doing a sidebar on the STS tiles, and he wanted more breathlessness about how precisely each tile was machined and mounted and tested and how techno-cool it all was. After a while I said: "Look, you do realize that as remarkable as the tiles are, they're a kludge forced on us because nobody could come up with the WonderMetal skin hoped for at the start, right? You do understand that this ids very bad news for the quick turnarounds and low-cost ops that STS was supposed to deliver, right?" He didn't get it. I think a lot of space fans still don't. I'd be curious what solutions we'd come up with if the government committed to doing something truly huge in space and set a market demand for putting millions of tons into orbit. The market really doesn't call for heavy lift rockets and satellites are only getting smaller. There was the idea from years past of the Big, Dumb Booster. As I recall they were shooting for something like 90% reliability with the understanding that you'd lose some launches but wouldn't cry over it since nobody would be onboard. The Sea Dragon concept called for towing the rockets out to sea and launching them from a semi-submerged state. Retired nuclear aircraft carriers were to be both support ship and fuel source, cracking sea water into oxygen and hydrogen for the fuel tanks. The analogy for this sort of thing is that FedEx couldn't have invented overnight shipping if someone else hadn't invented the jetliner but once one of those was around, everything else just came together. This is an argument for major government in big ideas, ideas too big for any private entity to undertake themselves. Private entities give you turnpikes but they won't give you a national highway system. The government pays for that and everyone benefits from the commercial activity it allows for. In theory. I've wondered about the viability of a flyback first stage. I'm thinking a swing wing pops out after separation and possibly an inflatable "nose cone" to improve aerodynamics. If they could keep it as a glider that would keep things even simpler. This would avoid the splashdown problem the shuttle boosters have. They need to be disassembled and rebuilt to clean them up after all that salt contact. "He didn't get it. I think a lot of space fans still don't." This is not a personal criticism, because Monte has always tried to inject a note of reality into the discussion. But naive space enthusiasm has been subsidized by a media that makes sales based on telling people that the vast, wide-open space future is just around the corner. But that's just commercial shennanigans. The real sin has always been how much knowledgeable space enthusiasts have tolerated naive enthusiasm. They've made a bargain with the devil they know: getting more apparent numbers at the expense of discounting the facts in order to get those numbers. Knowledgeable space enthusiasm won't face the devil they don't know: how much influence would they have if they required that everyone who wants to join the club has to face the facts? "I've wondered about the viability of a flyback first stage..."
Let's get something straight -- flyback boosters would be incredibly hard to build and even harder to justify economically. I only brought it up because we've already demonstrated the technical capability with the Space Shuttle. No, I haven't gone off my rocker. The only engineering requirement that the Shuttle orbiter uniquely meets is returning its main engines to the ground for reuse. 20 ton payloads can be put in orbit by other rockets. If you didn't have the Shuttle you could always use something like Soyuz or Apollo to put crews in orbit. Even larger crews like the Shuttle can carry could be accomodated by more rockets or bigger crew vehicles on bigger expendable rockets, still costing less than the Shuttle to operate. The only thing the Shuttle really does that other vehicles can't is bring its engines back. And the Shuttle takes those engines all the way to orbit and back. If it only had to take them to 60-70 km and Mach 6-7, returning to the launch site by design, it could be made using X-15 technology -- inconnel sandwich skin, which is way old skool these days. But...the real problem is that, even without the heat-resistant tile issue, or the accomodations made for a human crew, a fly back first stage would still be ridiculously large (bigger than the Shuttle) for any kind of useful payload and would still require an expensive airframe inspection and propulsion system rebuild program after each flight. It's probably doable. But like the Shuttle it would probably not be any cheaper than expendables. "The analogy for this sort of thing is that FedEx couldn't have invented overnight shipping if someone else hadn't invented the jetliner but once one of those was around, everything else just came together. This is an argument for major government in big ideas, ideas too big for any private entity to undertake themselves. Private entities give you turnpikes but they won't give you a national highway system. The government pays for that and everyone benefits from the commercial activity it allows for. In theory." The key difference is that the jet airliner was not invented by any government. Jet engines were pushed ahead quicker than they might have been, for military reasons. And some governments did subsidize their aircraft industries and airlines to build jet airliners as national prestig projects. But jet airliners had obvious commercial utility and were pursued by both the aircraft industry and airlines to service existing markets and emerging ones. With rockets, governments pushed their development for military reasons. And government money did subsidize several early communication and weather systems which nowdays are much more commercialized. But all the markets that rockets can service have been built-out. The government has done all it can. If commercial interests aren't making more of space, it's because there's no market for anything that can be done in space. Heppenheimer on Phase B: "Both contractors proposed [flyback first stages] somewhat larger than a Boeing 747, and weighing some five times as much when fueled. The North American concept had two dozen engines: 12 SSMEs and 12 jet engines, the latter serving during flyback to the launch site. McDonnell Douglas's booster, only slightly less ambitious, was to use a dozen SSMEs as well, with ten turbojets." Obviously, if OMB and Congress hadn't been so gosh-darn cheap in 1972, that sucker coulda been built and flying at its design separation speed of Mach 10 in a couple of years, tops. Probably doing barrel rolls, too. "Obviously, if OMB and Congress hadn't been so gosh-darn cheap in 1972, that sucker coulda been built and flying at its design separation speed of Mach 10 in a couple of years, tops. Probably doing barrel rolls, too." Well...as many of our friends with stars in their eyes will tell us, all we lack is the necessary ambition. I'm going to agree with Tony on this. In the real world, there is not enough demand for reusability to be practical. I only know of two cases of a manned rocket losing a single engine and still making orbit: Apollo 13 and STS-51-F. I wasn't able to find a good list for unmanned failures, and there haven't been any cases of a manned vehicle failing due to engine failures, though there have been several near misses. The point is this. A rocket is engineered much closer to the edge and is in a much more demanding enviroment than an airliner. If you're on an airliner that loses all engines, then you are still likely to survive, and even walk away. Two spacecraft have survived single failures late in their burns, and if two had gone, they would have failed entirely. And any entire failure will result in hull loss. That's a lot less of a problem for expendable vehicles. The only engineering requirement that the Shuttle orbiter uniquely meets is returning its main engines to the ground for reuse. They didn't even do a good job of that. Why bother bringing back the cargo bay? It's just a bunch of structural material, which is cheap. Let's say that we get a magic engine that actually works. It's worth bringing back to reuse. We have to mount it in a vehicle that carries both crew and passengers. Revise the shuttle? Here's another suggestion. The general stack looks like the shuttle. The orbital vehicle is mounted on the side of a tank, with boosters on the other sides. However, the OV is completley different. The crew capsule is mounted right above the engines. They share a common heat shield, though the crew have a smaller escape capsule in case of emergency. The crew capsule is as small as possible, with main living space provided by a transhab module right above the capsule. Above that is a conventional payload faring. When it's time to come home, the transhab is jettisoned, and you just deorbit with the engines. Recovery is parsail, allowing recovery forces to be massively reduced. The best part is that it's modular. You can replace the crew capsule with more cargo space, and use the same engines. Actually, it probably makes more sense to mount the capsule on top, with the transhab underneath it, and deorbit engines and capsule seperately. Just a thought. On farther research, I have found more data. According to this propulsion failures make up about 56% of launch failures, with 64 out of 114. I have found one example of a salvaged sattelite following the failure of an engine on its orbital booster. Please note that I'm excluding GTO booster failures. I'm uncertain as to the exact methodology in the paper above, but it's fairly clear that there's almost no launch failures that result in successful missions. This disregards all of the other problems inherent in reusability, such as mass penalties. Plus, I'm fairly certain that a reusable engine will be less reliable unless you take the entire thing apart between each mission. And where does that leave us? The SSME. Given where the space launch costs are, I just don't see reusability as viable. As noted previously, there's no savings in man-hours, which is where the big costs are. And we can't save them without dangerously low relability numbers, as any failure is likely to be lethal. "The point is this. A rocket is engineered much closer to the edge and is in a much more demanding enviroment than an airliner. If you're on an airliner that loses all engines, then you are still likely to survive, and even walk away. Two spacecraft have survived single failures late in their burns, and if two had gone, they would have failed entirely. And any entire failure will result in hull loss. That's a lot less of a problem for expendable vehicles." Well, by design crew vehicles mounted on top of serial stacks are intended to be as survivable as possible. The Russians demonstrated in practice that their Soyuz launch escape system could save a crew from a catastrophic launch vehicle loss on the pad (Soyuz T-10-1, 1983). They also had a launch vehicle staging malfunction in flight, which the crew escaped from thanks to an automated abort system (Soyuz 18-1, 1975). In similar situations, the crew safety systems of American expendable launches would have probably saved their crews as well. In almost any imaginable powered ascent failure, there is going to be a vehicle loss. So the only real crew safety is found in abandoning the launch vehicle and relying on the reentry module of the crew vehicle to get you back to the ground safely. There's no safety in a reusable vehicle that you can't quickly and decisively separate from the LV at a moment's notice. That's a big reason expendables are safer for crews. "Let's say that we get a magic engine that actually works. It's worth bringing back to reuse. We have to mount it in a vehicle that carries both crew and passengers. Revise the shuttle? Here's another suggestion." But is there really a reason to do it that way? Why not just mount such an engine, or a group of them, in a reentry module of its own. When the engine(s) is done firing, separate it from the tankage and let it recover however you plan it to recover. Atlas demonstrated fifty years ago that you could in fact have a reliable multi-engine module that was seperable from the tankage. Heck, Atlass did the separation with a sustainer engine running, relying on nothing more complex than a guide rail and some teflon rollers to prevent catastrophic interference. "Actually, it probably makes more sense to mount the capsule on top, with the transhab underneath it, and deorbit engines and capsule seperately. Just a thought." Several iterations of this kind of thinking and one winds up with the tradition vertical serial stack configuration. I'm not sure at all why people today think our fathers and grandfathers were so dumb. In almost any imaginable powered ascent failure, there is going to be a vehicle loss. I know that. However, I was pointing out that unless the reusable vehicle is significantly more reliable then current launchers, we're not going to get all that many flights out of them anyway. Maybe 20 at the outside, and any failure is a hull loss. And I agree with you on crew safety. But is there really a reason to do it that way? I do think that it will tend to converge on a vertical stack. I was just exploring a shuttle-type spec (which didn't make any sense either. Atlas demonstrated fifty years ago that you could in fact have a reliable multi-engine module that was seperable from the tankage. Atlas didn't have to make the engine recoverable, and without more detailed specs, I can't be sure how relevant it its. Exactly what got thrown off? On the whole, though, we're in pretty much total agreement. Is it better to assume the way things have always been done is the right way or be utterly certain of it because you've tried all the alternatives? "However, I was pointing out that unless the reusable vehicle is significantly more reliable then current launchers, we're not going to get all that many flights out of them anyway." How much we infest between flights in improving reliability. I was just applying focus to the idea that a reusable vehicle was crew safe in any meaningful way, no matter what the other economic outcomes might be. "Atlas didn't have to make the engine recoverable, and without more detailed specs, I can't be sure how relevant it its. Exactly what got thrown off?" No, Atlas didn't concern itself with recovering the engines. But it could have, had it been required to, because it was already designed to be a reliable rockets that could shut down fuel flow to engines and cleanly separate them from the tankage in flight. After that you have to design the engine module to be recoverable, but that's within the engineering capability of even the 1960s, if you're talking about reentry from Mach 7 at 250,000 feet. WRT to what got dropped, it was the two outboard engines, their auxiliary equipment, and aerodynamic fairings. That went as a unit. What was left was the tank, the center engine, some instrumentation in side-mounted fairings, and the payload. It was designed that way because the initial application was as a single stage ICBM and for reliability reasons it was thought that all engines should be running at full power before launch commit. But once the vehicle had burned down a good portion of its fuel, the majority of the engines became redundant and represented penalty wieight that no longer contributed to the mission. So they were shut down and jettisoned. The Russian R-7 rocket -- the one that launches the Soyuz -- was configured the way it was for essentially the same reason. The four strap-on boosters were needed to get the core stage and payload off the ground, but they were dumped after they burnt out, because the core stage had by then run down its propellant weight to a manageable level and could complete the mission by itself. Later on, both the Atlas and the R-7 were given upper stages for more lift. The Atlas was eventually also changed from a dropping two engines to a new Russian engine (It has two thrust chambers but a single propellant pump, so it's considered a single engine) that stays with the first stage tankage all the way to and after burnout. "Is it better to assume the way things have always been done is the right way or be utterly certain of it because you've tried all the alternatives?" I would have to honestly say that when the subject is space launch, the "right way" is the way that exercises your technical capabilities to their practical limits, because the whole thing is so hard to begin with. That's why major government and corporations are the only people that can pay for it -- it exercises our technical capabilities to their practical limits, and that's always going to be expensive. Realizing and accepting that governments and major aerospace corporations are in fact doing it the best way anybody knows how is a major "get it" thing. It serves remarkably well as a litmus test to separate the knowledgeable from the naive in the ranks of space enthusiasts. WRT to what got dropped, it was the two outboard engines, their auxiliary equipment, and aerodynamic fairings. I knew the basics, but I'm not sure what constitutes auxiliary equipment. Now that I think more about this, the Atlas approach seems more promising. We take three superengines, and mount two to seperate, and use balloon tanks. It's almost SSTO, and you can probably bring the last engine down, too. And optomize it differently. And while I know you didn't intend any disrespect, I do have a fairly decent grasp of rocketry history. It's not inherently safer than an expendable of similar reliability, and I don't see significant reliability improvements. I once read somewhere that reusables are safer because you aren't using a new craft. That's not entirely true, as I'm not going to trust modern or near-future engines without a lot of inspection and replacement. I suppose you could build a reliable, reusable engine on the jet engine model, but I'm of the opinion that the penalties imposed would make it cheaper to use expendables. Realizing and accepting that governments and major aerospace corporations are in fact doing it the best way anybody knows how is a major "get it" thing. Second that. Given the number of people who sit around and dream about spaceflight, if there was a better solution, we'd almost certainly have found it. 1. You can't have anything below the engines, and anything off to the sides has to be far enough away not to be caught in the exhaust. 2. You have to minimize strucutre mass. Adding things to the sides makes that more difficult by far. 3. The engines need to be close to the center of gravity. What works well? A vertical stack. Most others have no advantages and usually run into number 2. "I knew the basics, but I'm not sure what constitutes auxiliary equipment." Piping, thrust structure, and heat shielding that wasn't necessary once the rocket was above the sensible atmosphere are the major wheight items that were associated with the booster engines. I have a book on the Atlas at home that goes into great detail about how the booster staging worked and why. "Now that I think more about this, the Atlas approach seems more promising. We take three superengines, and mount two to seperate, and use balloon tanks. It's almost SSTO, and you can probably bring the last engine down, too. And optomize it differently." That would probably be viable. I'm not sure how big a balloon tank you can make, however. They have some pretty strict mechanical limitations when not pressurized. My Dear ol' Dad, among his many other sins, was a tech writer on the Atlas ICBM ground support equipment manual. He told me once that the criticality of keeping the airframe stretched and rigid when it wasn't pressurized (with either helium or propellants) was stressed in words of one and two syllables, so that nobody could make a mistake. So I wonder just how big one can go with such a structure. "And while I know you didn't intend any disrespect, I do have a fairly decent grasp of rocketry history." I meant no offense. When I go into a lot of detail, it's because I'm trying to avoid confusing the general reader, not because I'm trying to slight a particular correspondent or his knowledge. "It's not inherently safer than an expendable of similar reliability, and I don't see significant reliability improvements. I once read somewhere that reusables are safer because you aren't using a new craft. That's not entirely true, as I'm not going to trust modern or near-future engines without a lot of inspection and replacement." I personally think that reusable rocket are inherrently unsafe, because even with rigid and disciplined between-flight inspections, you're putting back in service something that has undergone a lot of stress, and added a lot of failure points just by inspecting and rebuilding. Look at airliners when they have structural or propulsion failures -- it often turns out that rotuine maintenance was done wrong, or inspectors missed something. Every time you tocuh it, you take the chance of screwing it up. WRT how safe first time use is over repeated use, well, with rockets we have to remember that a non-disassembly hot fire test is performed on each liquid engine at the factory, solid engines are x-rayed, tanks are pressure tested, and electronics are certified by running checkout routines on them. The industry accepts that you can't always find every problem, and that some failure modes simply aren't known until they reveal themselves, but that thorough ground testing of the subsystems and integrated systems is the best insurance. Certianly there can be human errors here as well, but there's less chance of them per vehicle if you only fly the thing once. "I suppose you could build a reliable, reusable engine on the jet engine model, but I'm of the opinion that the penalties imposed would make it cheaper to use expendables." Hmmm...I think the whole point of talking about superengines is that one can't build rockets like jet engines. A superengine by definition would be one that can do what engines can't do now -- be cheaply and easily maintained. Ah. Thanks, then. Online information is quite sparse. Balancing discussion with each other and making it readable to the general public is often an issue. No problem. You might be able to do so, but it would probably involve low-Isp propellants and lots of money. The performance penalites would be too great if you could do it. And as I said before, I'm in total agreement with you on reliability and reusability. Actually, now that I think about it, that comment may have been more about the capsule than the booster, which makes far more sense. ""Realizing and accepting that governments and major aerospace corporations are in fact doing it the best way anybody knows how is a major "get it" thing." Second that. Given the number of people who sit around and dream about spaceflight, if there was a better solution, we'd almost certainly have found it." Apologies for innacuracies in what I say next, but Astronautix has gone offline due to DOS attacks, so any innacuracies are from wikipedia. However: I could refer to beaurocracy in NASA, and various rushed projects, but the thing that took away some of my faith in NASA was the time they wasted researching OTVs. They should have known the uselessness of such craft (why have such a craft waiting in orbit to be topped up on propellant after another mission when expendables from the surface would have been infinately more suited to accomplishing the tasks at hand?). Such clever people should not have indulged in such fanboyish fantasy. I still can't understand why they keep referring back to it as a potential concept. Of course no institution of such scale is perfect. Both endemic flaws and strengths can be found in any similar organisation. But as you have all but said, there are some extremely clever guys 'n gals doing their best and the OTV obsession baffles me. Those aren't quite the same. For one thing, they are mounted quite close to the center of the stack, and secondly, they were put there because there was simply no room left. Strap-on boosters are one thing. I was mostly discussing radically different configurations (like, say, a flying saucer or cross with the engines around the edge). 4. The vehicle must be reasonably aerodynamic. "He told me once that the criticality of keeping the airframe stretched and rigid when it wasn't pressurized (with either helium or propellants) was stressed in words of one and two syllables, so that nobody could make a mistake. So I wonder just how big one can go with such a structure." Shot in the dark: Maybe technical experiance with airship building could provide an answer? "Online information is quite sparse." "Due to a persistent denial of service attack, astronautix.com has been taken off line. Thank you for your support over the last 17 years. I'll have to consider in what altered media, form, or other hosting arrangement the content of this site may reappear in the future. I'm just guessing, but either Mark Wade got tired of dealing with the DOS attack or his hosting provider put its foot down. In any case, the best technical resource, by far, is gone for a while at least. "And as I said before, I'm in total agreement with you on reliability and reusability. Actually, now that I think about it, that comment may have been more about the capsule than the booster, which makes far more sense." The crew vehicle is a major candidate for reusability, if for no other reason than it's where most of the complex and expensive equipment is, outside of the launch vehicle engines. But that's pretty much independent of whether it has any large, expensive engines attached to it. The problem with crew vehicle reusability however, is that it adds non-mission essential mass to the spacecraft, meaning less effective payload or a larger launch vehicle. The Ariane 5, for example, was and is, strictly speaking, too big for actual ESA and commercial payloads. That's because it was designed to carry the ESA Hermes spaceplane, which would have been fairly large, though still designed to be flown as a payload, not part of the launch vehicle. If I ever find who did the DOS attacks, I'm submitting their names to the Jupiter Surface Colonization project. I suppose we'll have to look harder from now on. As to crew vehicles, reusability doesn't add that much mass, and it might actually pay for itself. After all, you have to bring that part down anyway. "I was mostly discussing radically different configurations (like, say, a flying saucer or cross with the engines around the edge)." Good grief! See what you mean. That would be an absolute nightmare to manage. 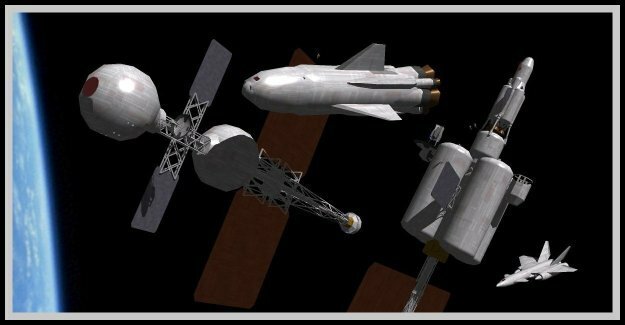 Re reusability- I do remember a proposal to bring back the hubble telescope to be a museum peice- while the cargo bay of the shuttle may have been mostly superfluous, it would have been good for that purpose. "However: I could refer to beaurocracy in NASA, and various rushed projects, but the thing that took away some of my faith in NASA was the time they wasted researching OTVs..."
You know, I think spending time and looking into the idea wasn't all that bad. As obviously flawed as the concept seems to us -- who think we know at least a little bit more about orbital dynamics than the average person -- it didn't hurt that real aerospace engineers and trajectory analysts gave it a whirl. After that, well, bureaucratic intertia is a feature not a bug. And one can always say that they did in fact look into it make sure they hadn't missed a step, but that they also canned it when it wasn't making hay. "In fact Byron, I can take the reference to side-mounted engines and refer to the Delta IV Heavy. Surely a stack would have been better? Why the side-on boosters? Same for the Titan IV, etc. Meh. I'm a relative space ignoramus, this shouldn't seem so clearly wrong..."
4. The vehicle must be reasonably aerodynamic." Strap-on boosters (except for the all-engines-running-prior-to-release engineering requirement in the R-7 ICMB) are a means of taking an existing rocket and giving it more payload to a given destination. Or they're a means of taking that same existing rocket and giving it more delta-v for a given payload. In any case the idea is to have enough thrust to get a heavier stack off the pad. You strap them on the side because they're traditionally cheap extra oomph, that can be modularly configured, not a whole new stage, with all that entails. Also, by mounting them in parallel with the first stage, they make the whole stack a little less dynaimcally challenging -- lower CG. The Delta IV extends that philosophy but does so by parallel stacking common stage elements, rather than having a complex liquid first stage and (relatively) simple solid boosters. It's a different approach than traditionally attempted with parallel mounted boosters, but it ain't crazy. 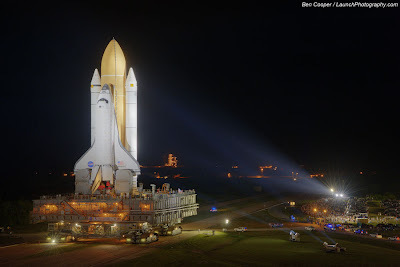 In the singular case of the Space Shuttle, what you have is a vehicle that could get itself off the ground, but couldn't go very far, combined with a big drop tank to enable it to go far enough. But once you add all that propellant and tankage, you can't get off the ground. So you add the SRBs to get it off the ground. The important thing to remember here is that at no time is the tank carrying anything. It's initially being carried by the SRBs and the Orbiter, then by the Orbiter alone. The Pratt & Whitney RL10B-2 Engine is generally considered to be one of the best and most reliable engines ever made, mostly because P&W makes gas turbine engines for a living and transfered much of their expertise in that area to the rocket engine (i.e. turbopumps, gas generators and so on). Balloon tanks made sense in the early days, when rocket engines were not all that powerful and you needed to cut down on the weight (and expense be damned; the interior structure of the Atlas fuel tank was milled into the skin). I think modern materials and structural engineering have allowed for strong and light structures even without magic materials, but if composites do work in these situations then there is still lots of room for improvement. The suggestion that Zeppelin technology can be applied to balloon tanks is a bit of a winger; Airships of various sorts rarely flew faster than about 80mph, and even modern proposals don't go much faster. Inflatables have been experimented with in space from Echo 1 to the Inflatable Antenna Experiment, and may provide a solution to the problem from a different angle; vastly reducing payload weight for certain types of structure. "I only know of two cases of a manned rocket losing a single engine and still making orbit:"
Considering how many fewer human spaceflights there are than airliner flights, two is a surprisingly large number. "A rocket is engineered much closer to the edge and is in a much more demanding enviroment than an airliner." That's because a plane has wings and can still glide even without engines. A rocket is a brick with an engine, and so if the engine fails, it's just a brick. "How much we infest between flights in improving reliability." I will admit that I'm not terribly familiar with the Delta IV, but I don't know what more they could do. Rockets are less mass-produced than other vehicles, but they're still largely the same. That's the only thing the shuttle's bay was good for. But there are other ways to do such a thing. I've heard of plans for foam heat shields. Use one of those, maybe. It's a lot easier and cheaper. Or just make an orbital museum. Hubble, Vanguard, maybe build it around ISS. I'm pretty sure Hubble isn't going anywhere for a while. No argument from me. It's actually quite a clever way of doing things, and SpaceX is doing something similar with the Falcon 9 Heavy. The advantage as much as anything is saving on development costs. However, I'll address the point that Geoffrey brought up. Any practical rocket will tend to have a high sectional density, because that simply is the best option. Adding strap-on boosters is far easier then re-engineering the entire craft, and it doesn't hurt the aerodynamics too much. It's still a good design, particularly as there's a limit to how many engines you can cram onto a rocket. I disagree. The Atlas was originally designed as an ICBM, and as an ICBM it was pretty terrible. It had to be kept pressurized at all times, it required cryogenic fuels, and it took several hours to ready for launch. However, none of those are serious drawbacks in a space booster, particularly when balloon tanks produce far lower mass fractions than their competitors. We still can't quite match the Atlas's performance in terms of payload mass fraction IIRC. "I will admit that I'm not terribly familiar with the Delta IV, but I don't know what more they could do. Rockets are less mass-produced than other vehicles, but they're still largely the same." Slight quibble here -- rocket stages are built to a basic design, but they're purpose built for each mission, so that customers can specify special instrumentation packages and other mission-oriented modifications. I doubt very many baseline stages have ever been flown. "I disagree. The Atlas was originally designed as an ICBM, and as an ICBM it was pretty terrible. It had to be kept pressurized at all times, it required cryogenic fuels, and it took several hours to ready for launch. However, none of those are serious drawbacks in a space booster, particularly when balloon tanks produce far lower mass fractions than their competitors. We still can't quite match the Atlas's performance in terms of payload mass fraction IIRC." The Atlas was a less than optimum ICBM, but it would have worked acceptably well in the early 60s, when it was operationally deployed and when the Soviets didn't have anything better. Also, it didn't have to be kept pressurized. It was shipped presurized and in the later silo deployments it was kept pressurized. But while in horizontal storage in the earlier "coffin" bunkers, it was depressurized and kept mechanically stretched by the erector arm that it was attached to. As for baloon tank construction for modern space boosters, the big problem is the production tooling. You need a rigid, precise jig inside which the tank can be held in shape while it is welded together. The bigger you make the tank, the harder that gets. Also, the bigger the tank gets, the more vulnerable it is to handling damage. "The Pratt & Whitney RL10B-2 Engine is generally considered to be one of the best and most reliable engines ever made, mostly because P&W makes gas turbine engines for a living and transfered much of their expertise in that area to the rocket engine (i.e. turbopumps, gas generators and so on)." Wellllll...Pratt & Whitney Rocketdyne consolidates the vast majority of US liquid proepllant rocket technology under one roof. About the only major engines not included are the SpaceX Merlin and Aerojet (AJ10). Even though P&R brought the RL-10 to the marriage, considering all the very good, reliable engines that Rocketdyne made before the merger (which happened only 6 years ago), it's a bit of a stretch to say the all of the high pressure gas turbine expertise was P&R's. "That's the only thing the shuttle's bay was good for." Exactomundo. Sadly not justifying the presence of the bay in the first place. An orbital museum? That could keep the ISS going for quite a while, if moving the hubble between orbits weren't so darned expensive, propellant-wise. I said largely the same. What it sounded like Geoffrey was proposing was doing things like adding engines. That's a lot harder than swapping electronics out. Also, it didn't have to be kept pressurized. It was shipped presurized and in the later silo deployments it was kept pressurized. But while in horizontal storage in the earlier "coffin" bunkers, it was depressurized and kept mechanically stretched by the erector arm that it was attached to. Thanks. I didn't know that. I was under the impression that it required near-constant pressurization. That's good to know. I just doubt those disadvantages will outweigh the advantages of the mass fraction. Also, wouldn't it be possible to build a semi-pressure supported tank, which requires pressure under load, but won't collapse when empty? I don't see any problem, but nobody's done it yet. It's a lot cheaper than moving people to go see it. in the long run. It might well be done. "That's good to know. I just doubt those disadvantages will outweigh the advantages of the mass fraction." I don't think anybody's going to go back to that technology. It was elegant and cool (for certain geeky values of "cool") but it had it's hassles, particularly the whole unfueled helium pressurization system and previously mentioned mechanical stretching equipment for both fabrication and unpressurized storage. "Also, wouldn't it be possible to build a semi-pressure supported tank, which requires pressure under load, but won't collapse when empty? I don't see any problem, but nobody's done it yet." The Atlas was an extreme example, requiring pressurization to maintain its shape at all, under any conditions. But, AIUI, several rocket stages that are stable empty need to be pressurized to avoid collapse when fueled, and have helium presurization systems to keep them pressurized as they burn fuel in flight. Tony: all liquid propellant tanks need to be pressurized in flight, to avoid having the pumps cavitate (or to feed the propellant at all, in pressure fed engines). "Tony: all liquid propellant tanks need to be pressurized in flight, to avoid having the pumps cavitate (or to feed the propellant at all, in pressure fed engines)." I'm aware of that, but I think in some cases they need pressurization to remain structurally stable while loaded. I could of course be wrong about that. "I'm not sure the Falcon tanks need big complex jigs for welding. They do have fixtures for the friction stir welding technique they use (which is quite cool and was only invented in the early 1990s.)" I wouldn't expect Falcon tanks to need more than bedding and accurate alignment. As far as reusable rockets go, the space shuttle solid rocket boosters seem to be a technology that might survive the demise of the shuttle program in some form or another, and are capable of surviving a few dozen launches. A LOx/Kerosene booster might also be something that can be made durable enough to parachute down. Such a first stage breakaway has advantages because velocities are low enough that no advanced re-entry technology is required (I was unable to find exact velocity, but it takes 75s for the boosters to reach apogee after separation, so vertical velocity is ~750m/s and total velocity probably not over 1 km/sec). You can probably hit twice that before advanced re-entry technology is required, and while 2 km/sec isn't a lot compared to the 8 km/sec into orbit, it's something like 50% of launch weight. "...I think in some cases [rocket propellant tanks] need pressurization to remain structurally stable while loaded." "The pressurization of each propellant tank during the boost and restart phases not only enhanced propellant feed to the engine, but also helped the stage withstand bending moments and other flight loads." "Unlike the smooth skins of the propellant tanks, the unpressurized intertank structure required other means to maintain rigidity and carry the various stresses placed on it during launch. This requirement explains the distinctive appearance of both the intertank and the forward skirt, fabricated of 7075 aluminium alloy with corugated skin and internal stringers (versus 2219 aluminum for the tanks)." Correction -- the second quote was WRT the S-IC stage. The book doesn't have any comment about the pressurization of the S-II. Having said that, the S-II was the most mass efficient stage on the Saturn V stack. It can be reasonably surmised from the engineering of the other two stages that it too would probably have relied on tank pressurization for structural support during operations. Before it was handed down from on high that Shuttle Must be All Things to All Customers, the early shuttle studies were aimed at a space-going DC3, payload around 5 tons to LEO. With a kick stage to get satellites to their final orbit, it would have been about equivalent to the workhorse boosters of the time. A couple of them could not have handled all of the US's low-end launch needs, never mind the whole world's. "Hmmm...I think the whole point of talking about superengines is that one can't build rockets like jet engines. A superengine by definition would be one that can do what engines can't do now -- be cheaply and easily maintained." Conceptually, rocket superengines are not that hard: just don't run it at 109% of maximum design capability all the time. I like the RL-10: not pushed to the edge to wring out the last drop of Isp and it turned out pretty durable. "Before it was handed down from on high that Shuttle Must be All Things to All Customers, the early shuttle studies were aimed at a space-going DC3, payload around 5 tons to LEO. With a kick stage to get satellites to their final orbit, it would have been about equivalent to the workhorse boosters of the time. A couple of them could not have handled all of the US's low-end launch needs, never mind the whole world's." I'm not sure what you would call "workhorse", and what you think the launch rate really was. A little less than half of the Titan LV missions were over 10,000 kg payload to LEO. The overwhelming majority of Delta launches through the Seventies and Eighties carried payloads less than 2,500 kg to LEO. What you'd wind up with for a shuttle with a 5,000 kg payload is a lot of unmanifested payload capacity and/or a lot of customers waiting around for a full load to be made up of several payloads going to roughly the same place. In either case, shuttle economics would have been a bit screwy and likely highly inventive. It's a simple fact that the expendable launch vehicle market right-sized their wares for the payloads that actually existed. This allowed schedules to be met. It also meant that rockets were sized for their payloads, making the industry as efficient as possible. "Conceptually, rocket superengines are not that hard: just don't run it at 109% of maximum design capability all the time. I like the RL-10: not pushed to the edge to wring out the last drop of Isp and it turned out pretty durable." Not quite -- the RL10 became highly reliable through extensive operational experience. Individual engines also turned out to be durable on the test stand, but customers of course want a new engine(s) when their payload flies. Also, RL10 would be a very hard engine to recover, because it's an upper stage engine. Every kg devoted to engine recover is a kg straight off the top of the payload mass. I doubt very many customers are going to give a crap about recovering an engine at the cost of their spacecraft's capabilities. If (a big fat contrafactual if!) 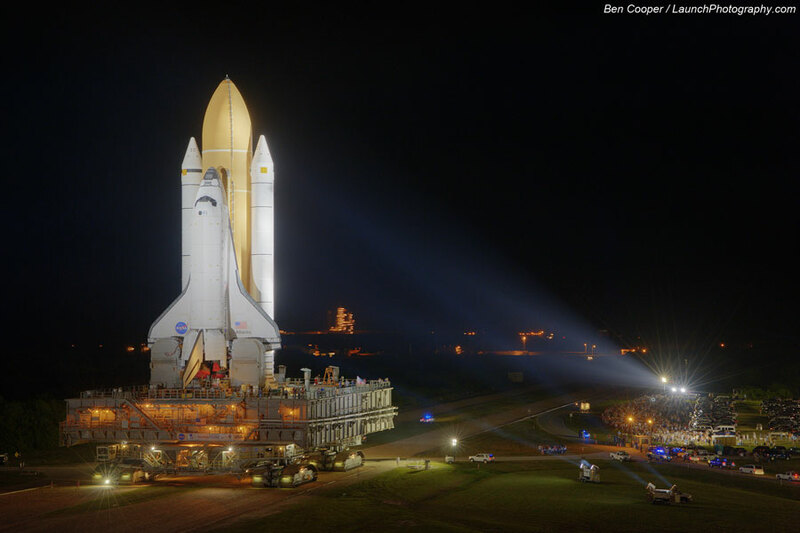 the Shuttle had been built to the original design, and achieved something like a launch per week (as ISTR was projected), its nominal capacity to LEO would have been on order of 250 tons/year, or roughly 100 tons/year to geosynch. That is a substantial fraction of traffic demand, and satellite design evolution would have adjusted to that launch option. Would it have been significantly cheaper? Very difficult to say. I will say that running at 109 percent of rated power is surely far more overhaul-intensive than running at 95 percent of rated power. But however you look at it, getting to orbit is pushing the envelope to the max. The problem with the "space shuttle as originally intended" is that all of that launch capacity didn't have a market unless it's price could be kept significantly lower than historical expendable launch vehicles. Let's not forget that all of the sats that were below 5,000 kg were usually significantly smaller. They would have required deadheading a significant portion of the shuttle's payload capacity regardless of cost, or waiting for a significant payload fill. This would not have satisfied one of the biggest potential customers -- national technical means (IOW NRO and CIA). The Corona spysats, for example, were in the 750-1,500 kg range. That means that launches from Vandenberg with film camera equipped sats would have been grossly over powered for the payload carried. Corona program satellites also required a high dispatch reliability, which was not a demonstrated capability of the Shuttle-as-executed. It's valid to wonder whether it would have been a capability of the Shuttle-as-intended, given what we now know about reusability. Finally, the sats started getting really big as early as 1971 -- KH-9 was 11,000-13,000 kg by that time. Even when they changed to TV downlink of data with the KH-11, the spacecraft was still over 13,000 kg in mass. The Shuttle-as-intended was a dead end before it even left the conceptual design stage, as far as the national security customers were concerned. That's why the Shuttle-as-executed got so big to begin with. As for potential commercial and scientific customers, one has to wonder. Would the sponsors of small sats have been willing to ait around for a filled manifest if a somewhat more expensive, but more immediate solution was available? Even today when small sat customers piggyback on other people's launches, it's usually in extra space on medium and heavy lifters. And how many sponsors of large commerical or scientific spacecraft would have the freedom to downsize their payloads to the Shuttle-as-intended? modern comsats seem to be pretty much in the 2,500+ kg to GSO category, placing them beyond the Shuttle-as-intended's capabilities. As stated earlier, the expendable LV launch services suppliers service the market that exists. There never was a real big market for the Shuttle-as-intended. And, obviously, there never was a big market for the Shuttle-as-executed, given its cost and dispatch reliability issues. I may be mistaken, but I thought that the original idea for the shuttle was for it to be three seperate vehicles; one for cargo, one for passengers, and one for research. And on top of all that, the military was supposed to have their own reusable launch vehicle or vehicles. Having one vehicle for all three civilian missions plus any military missions undoubtedly contributed to the many shortcommings of the final shuttle design. To point to the shuttle as an example of either what's right about reusable launch vehicles or what is wrong about reusable launch vehicles is to use a single, fatally flawed example; it proves nothing one way or the other, except that the shuttle wasn't a very good design, dispite the fact that it did keep America in space. It may not have been in the building a moon base or landing on Mars class of excitement, but it did have some use. As stated earlier, the expendable LV launch services suppliers service the market that exists. With the proviso that it really goes the other way - the market evolved around the available means, which broadly speaking were developed before any established, defined market existed. Subsequent evolution, which is substantial, has responded to the launch market, but still rooted in key decisions of the 50s, 60s, and 70s. I've found some information on why our hypothetical supereninges aren't practical: articles on the RL-10 and the SSME. "As stated earlier, the expendable LV launch services suppliers service the market that exists. Subsequent evolution, which is substantial, has responded to the launch market, but still rooted in key decisions of the 50s, 60s, and 70s." Evolution was more prominent in the lighter Thor/Delta and Atlas rockets than it was in the Titan, which, in the IIIC version, was already flying with 13,000 kg of LEO payload in 1965. And the rapid evolution, especially of the Thor/Delta family, was breakneck in the period 1960-1975. Through tank stretches, upgraded engines, solid rocket boosters, and increasingly powerful upper stages, launch vehicles derived from the Thor IRBM advanced from 250 kg to LEO to 2,000 kg. Yes, the ballistic missile baseline defined payload sizes early on, but the market drove everything after that. "I've found some information on why our hypothetical supereninges aren't practical: articles on the RL-10 and the SSME." People look at the F-1 engine of the Saturn V and say, wow, 1.5 million pounds of thrust and a design life of 2,000+ plus seconds!? Then they look at the RL10 and make similar comments based on reliability and design life. What they don't get is that both were almost ridiculously conservative designs. NASA management wanted such a robust first stage engine, that could fire so long and make so many restarts not because they expected to use the engines that way, but because it meant that one start and 150 seconds of burn would be no sweat for such an engine. Similarly, somebody buying an upper stage for his launch vehicle could be reasonably assured that he could get an in-air start and one or two (or even three) restarts on a revenue mission. IOW, ground test restart and burn time reliability weren't desired because they could be translated into operational service, but because they meant the first few starts and burns (even first stage engines are test fired before operational use) were that much more likley to work as designed. The SSME, on the other hand, was and is bleeding edge tech designed to wring every last bit of performance out of the engine. As one would expect, it's continued reliability in service entails expensive service availabilities between flights and a major overhaul after every second or third flight. It is in many ways the superengine we've been talking about. But like "super"-anything in this life -- superstars, super cars, super computers, etc. -- it's high maintenance. What they don't get is that both were almost ridiculously conservative designs. I'm aware of that. As I mentioned in my earlier discussion, any engine that was reliable and low-maintainence was going to be low-performance as well. What I didn't realize was how close to reality that was. I would think that when it gets some service history, the Merlin will be in the same category. It is in many ways the superengine we've been talking about. Not at all. I defined the superengine as something that could be run like a jet engine, and was worth bringing back. The problem as I see it is that it will involve staging, at least with current technology. We can build a reusable booster, but short of aerospikes or something it will be TSTO. "I'm aware of that. As I mentioned in my earlier discussion, any engine that was reliable and low-maintainence was going to be low-performance as well. What I didn't realize was how close to reality that was. I would think that when it gets some service history, the Merlin will be in the same category." I'm just adding a little bit of context, B. I've run into a lot of people in my life that think the F-1 engine and the RL10 are some kind of bottled lightning. Well, they are, compared to the Mazda in your driveway, or even a wide body jumbo jet power plant. But in terms of what can be done out at the edge of the envelope (see SSME) they're remarkably pedestrian. Having said that, I wouldn't condemn them as "low-performance". They're just reliable and relatively inexpensive. Given their expendable application, a little extra engine weight, swapped for increased reliability and decreased expense, is a good deal. Also, given the high thrust to weight ratio of the SpaceX Merlin engine, it's arguable that a clean-sheet solution for the F-1 performance spec, using 21st Century technology, ought to get a pretty efficient engine, even with a conservative design philosophy. "Not at all. I defined the superengine as something that could be run like a jet engine, and was worth bringing back. The problem as I see it is that it will involve staging, at least with current technology. We can build a reusable booster, but short of aerospikes or something it will be TSTO." I said "in many ways", no in every way. It demonstrates the required performance at a better than average thrust to weight ratio. It's not "super" in terms of low-cost turnaround. But I doubt any engine ever will be. On the other hand, is that really such a big issue? The problem with the RL10 appears to be that it doesn't operate at chamber pressures that are suitable for atmospheric use, so it has to be a second stage engine, but it's not really a large increase in effort (relatively speaking) to recover your rocket in 2-3 parts instead of a single part, and it's actually a lot easier to get something to the ground if it never reached orbital velocity to start with. The SRBs are a perfect example of this, as they're recovered with a fairly simple parachute system, as opposed to the heat tiles or ablative foam required to re-enter from orbit. "On the other hand, is that really such a big issue? The problem with the RL10 appears to be that it doesn't operate at chamber pressures that are suitable for atmospheric use, so it has to be a second stage engine,"
It's much more of a feature than a problem. The RL10 runs at chamber pressures and thrust levels optimized for its operational environment. It's simply vacuum-optimized. but it's not really a large increase in effort (relatively speaking) to recover your rocket in 2-3 parts instead of a single part, and it's actually a lot easier to get something to the ground if it never reached orbital velocity to start with. The SRBs are a perfect example of this, as they're recovered with a fairly simple parachute system, as opposed to the heat tiles or ablative foam required to re-enter from orbit." The recovery of the Shuttle SRBs was a political concession to the reusability lobby, not an operational savings. Aside from the cost of recovery operations, the boosters have to be disassembled, shipped back to the factory, totally rebuilt a section at a time, and then reassembled. It's hard to see a savings anywhere in that, especially when the weight of recovery hardware could have been traded for payload on-orbit. And that's with the absolute minimum mass recovery system on the piece of the stack that experiences the narrowest range of relatively low dynamic stresses during flight. Also, weight added to lower stages only costs a fraction of its magnitude in payload weight, all other things being equal. Weight added to an upper stage costs proportionally more in terms of payload. Weight added to a final stage is a direct one-for-one trade on payload mass. Recovering first stages is probably the only thing that's practical to do, and even that has so many constraints attached to it that one wonders whether it will ever make real economic sense (as opposed to perceived philosophical sense). Here's a somewhat related thought...what if you had an FTL system that could jump you from here to there, but it was necessarily self-consuming and had a minimum size -- say 100 to 200 tons? It's much more of a feature than a problem. It's a problem for an SSTO. If you aren't trying to build an SSTO, it's not a problem. Ignoring the specifics of the SRBs, it's actually a lot easier to make early stage boosters pay off, because they're the largest, highest pressure components, and are also the easiest to recover. If a normal stage 1 is 75% of gross liftoff mass, and adding recovery capacity increases that to 80%, you need a 25% heavier stage 1 booster, but you only need to use it 2-3 times to pay off, assuming the expensive parts can be re-used (may not be true for solid rockets; I think the expensive part there is the fuel itself). By comparison, if the stage 2 booster (on a 3 stack) is also 75% of remaining mass, and is increased to the same 80% by recovery, you've reduced your payload by the same as putting recovery on stage 1 -- but the component you're reusing is only 1/4 the mass, and likely 1/4 the cost, of the stage 1 booster, and you probably need 10+ reuses to pay off. "It's a problem for an SSTO. If you aren't trying to build an SSTO, it's not a problem." I'm not trying to build an SSTO LV and, IMHO, no rational person should. "Ignoring the specifics of the SRBs, it's actually a lot easier to make early stage boosters pay off, because they're the largest, highest pressure components, and are also the easiest to recover." Uh-uh...it's barely possible that recovering first stages may be made to pay off, but it's not a foregone conclusion. "If a normal stage 1 is 75% of gross liftoff mass, and adding recovery capacity increases that to 80%..."
Ah, ah, ah...let's use some real numbers here. Using the simplest configuration, the Atlas V without any solid rocket boosters, with the heaviest possible payload, the heaviest payload fairing, and the heaviest upper stage, has a GLOW of 342 tons. Of that, the fully loaded first stage booster has a mass of 305 tons. That makes the first stage 89.2% of GLOW. The payload (9.8 tons) is 2.9% of the whole schmeer. 5% of 305 tons would be 15.25 tons. That's more than your payload. Ah, ah, ah...let's use some real numbers here. I did. Saturn V takeoff mass: 3,039,000 kg. Saturn V stage 1: 2,280,000 kg (75%). The Proton has a first stage mass of 63%. Both are three stage to orbit instead of two stage to orbit, but it's not at all obvious that such a design is generally inferior, and if you're trying to recover your stage 1 engine you want it to detach at a relatively low velocity so re-entry will be less damaging. Also, my 5% figure was rather pessimistic. Welcome to at least one new commenter! Yes, the ballistic missile baseline defined payload sizes early on, but the market drove everything after that. Heading boldly into the quibble-verse, I was referring as much or more to the post-ICBM space booster development era, from the early 60s to the mid-70s. The launch market 'as we know it' evolved around what booster development made available. But I'm not saying the end development, other than in details, would have been very different even if the development history had been quite different. A sort of convergent evolution is in play, driven by the very tough constraints of reaching orbit. To return it to the launch point for servicing and re-use you have to either fly it back - adding LOTS of mass and complexity. If you parachute it down, you need a considerable recovery operation, and probably more overhaul requirement. Everything about getting to orbit pushes some limit or another. "Heading boldly into the quibble-verse, I was referring as much or more to the post-ICBM space booster development era, from the early 60s to the mid-70s. The launch market 'as we know it' evolved around what booster development made available. But I'm not saying the end development, other than in details, would have been very different even if the development history had been quite different. A sort of convergent evolution is in play, driven by the very tough constraints of reaching orbit." Except that the 1960-75 period was dominated by extension of military missile capabilities. Non-Apollo US LVs -- IOW, the real launch market -- were all Thor/Delta, Atlas, and Titan derivatives. "I did. Saturn V takeoff mass: 3,039,000 kg. Saturn V stage 1: 2,280,000 kg (75%). The Proton has a first stage mass of 63%. Both are three stage to orbit instead of two stage to orbit, but it's not at all obvious that such a design is generally inferior, and if you're trying to recover your stage 1 engine you want it to detach at a relatively low velocity so re-entry will be less damaging. Also, my 5% figure was rather pessimistic." Saturn V was a three stage stack because that's what gets you to the Moon. When used as a more conventional TSTO LV (i.e Skylab) the S-IC stage was 80.3% of the GLOW. And 5% seems more optimistic than pessimistic to me, even with parachute recovery. It's not just the mass of the parachutes and associated gear that has to be added, it's also structural changes to make water recovery possible. As was discovered with the Apollo Command Module during testing in a pool in Downey, CA, large pressure vessels, impacting water at "slow" parachute speeds, deform and rupture unless significantly reinforced for that dynamic environment. WRT Proton, you are aware, are you not, that it was made a three stage vehicle because that's what you have to do with hypergolic propellants? It was also designed with 3 stages for the purpose of going to the Moon with a Zond spacecraft. Nothing wrong with an inexpensive and reliable engine along the lines of the F-1 or RL-10. In fact, assembly line production of a launch engine will probably do far more to drive down costs and increase reliability than anything else outside of magitech. I'd love to see historical data on the cost/performance learning curve for jet and turbojet engines starting from B-47 days: where were the "knees" at which economies of scale and of production experience began to tell? IOW, what counts as "mass production?" It's my impression that one big reason for the relatively fast transition to jets in the 1950s and 1960s was that the engines proved to need significantly *less* maintenance per passenger-mile than the high-performance radials of the 1940s had. I've seen it argued that rocket engines are inherently simpler than turbojets and therefore shouldn't be so much more expensive. Is that handwaving, or does it take into account turbopumps, gimbaling, weight-pared thrust and cooling/preheat structures, and everything else around then "simple" engine..? "It's my impression that one big reason for the relatively fast transition to jets in the 1950s and 1960s was that the engines proved to need significantly *less* maintenance per passenger-mile than the high-performance radials of the 1940s had." That's true, as far as it goes. But it's also a fact that people were willing to pay higher air transport prices for getting there in a few hours rather than ten or twelve. There's no analogous situation in launch vehicle economics. You pay the minimum you can to get there in pretty much the same amount of time, determined by astrodynamics, combustion physics, and materials technology. While consideration of launch site availability, ground and vehicle services, and some other things do influence decisions, launch vehicles within a certain class are pretty much fungible. Even class doesn't mean much if appropriate packaging can be arranged. Iridium used three different rockets in two different classes to launch their constellation. "I've seen it argued that rocket engines are inherently simpler than turbojets and therefore shouldn't be so much more expensive. Is that handwaving, or does it take into account turbopumps, gimbaling, weight-pared thrust and cooling/preheat structures, and everything else around then "simple" engine..?" people were willing to pay higher air transport prices for getting there in a few hours rather than ten or twelve. For sure: like many innovations it served the military and then high-end (=price-insensitive) civil markets first. But those did provide the scale and experience that permitted the "massification" of air travel in following decades -- as well as funding ongoing R&D at RR, GE, and P&W, so eventually the masses could fly on high-bypass, ducted fans, etc. I guess my question (and Elon Musk's :-) ) is: how many rocket engines do you have to build and fly per year before that virtuous circle begins to spin? And at what angle does that cut across the question of transition from one-shot to reusable engines? It's got to be of some value to design/mfg teams to *see* the damn things after use, not just pore over telemetry. "For sure: like many innovations it served the military and then high-end (=price-insensitive) civil markets first. But those did provide the scale and experience that permitted the "massification" of air travel in following decades -- as well as funding ongoing R&D at RR, GE, and P&W, so eventually the masses could fly on high-bypass, ducted fans, etc." And things turned very quickly. My parents met in Honolulu, Hawaii in 1960, both having gone there on DC-6s. When they moved to San Diego in 1961, they flew on a jet, though they were lower middle class at best. "I guess my question (and Elon Musk's :-) ) is: how many rocket engines do you have to build and fly per year before that virtuous circle begins to spin? And at what angle does that cut across the question of transition from one-shot to reusable engines? It's got to be of some value to design/mfg teams to *see* the damn things after use, not just pore over telemetry." Well, the designers see a lot of hardware after ground tests. That's how they developed the RP-1fuel specifications -- common jet kerosene was not refined enough to keep from gumming up their engines. Aside from that, I'm not sure I believe in reusable engines as an acceptable commercial choice for customers. Given the scope of the dynamic stresses inflicted on a launch vehicle, As long as the vehicle is going to be expended too -- and I don't see how it can't be, given current technology -- I want my mission flying on new engines with only a ground test or two behind them. Each Falcon 9 will use 10 Merlin engines, and a Falcon 9 Heavy will need a total of 19 Merlins. Even at a low launch rate that is a lot of engines, plus development engines and perhaps more for Falcon 1 rockets if SpaceX is planning to enter the small launcher market. Four Falcon 9 launches a year is 40 engines, which is fairly high rate production for rocket engines. If the Falcon architecture supports a third stage for interplanetary launch, then I don't see why their orbital transfer stage would not use a Merlin engine as well, increasing the economies of scale. That should qualify in terms of rocket production. The simple fact is that no matter how many engines a launch vehicle uses, and no matter how economical their reuse might seem, you have to convince the customer, and by more than price, that those engines are reliable enough for his payload. That's a curve I don't think is realistically climable. Jetliners marginalized prop airliners within a few years of the 707's commercial debut in 1958, suggesting that they were more economical nearly from the outset. I would guess that what mattered to the airlines was that jets were more productive: They could make a transcontinental round trip - combining flight time and ground servicing time ('block speed') - in less time than the prop planes. I'd further guess that the underlying economics were established by the B-52. The B-47 was a tricky plane to fly, and likely a maintenance hog as well. The 'conceptual simplicity' of rockets was a frequent argument in books I read as a kid. Heinlein's The Rolling Stones, IIRC, has a wonderful little passage where the (22nd century?) protagonist describes a 20th c. automotive engine as fantastically complex compared to a nuke thermal rocket engine. In principle this is actually true, but as noted above the devils are in the details. And, turbopumps etc. aside, rocket engines have enormous power density - on order of 1 MW/kg (!) - which pretty much means that they are always just short of melting or disintegrating. You could make both the stages of a two stage system reusable in a sense. Stage 1 reusuable as a launch vehicle after some fashion. Even if it just deploys Parachutes and is recovered. Stage 2 recyclable in SPACCEEE!! Heck you have a big honking piece of metal and rocket engines .. you could find something to do with it if you were creative with the design. You could even make a space station with all the stage 2 parts you have lying around. In regards to turbo pumps being complicated, finicky pieces of kit I do find the XCOR developments in cryogenic piston-pumps quite interesting and I find myself wondering if they could be scaled up or at least scaled up how far. Their rocket and pump designs so far seem to be rugged, reliable and have demonstrated being refueled and restarted multiple times in one day. Granted this is with the engine in a rocket plane and not in a launch vehicle, but still interesting. No matter what one thinks of the shuttle it and all of its assorted hardware are a sunk cost at this point, and as such I’ll come out strongly in favor of shuttle derived launch vehicles if for no other reason than to keep the factories going, the politically connected contractors placated and all of the experienced engineers onboard. Looking at a couple figures on Wikipedia and scratching out some numbers on the back of a napkin here, the shuttle weighs 68,585 kg without the SSME on it, 78,018 kg WITH the SSME installed, and a gross liftoff weight of 109,000 kg. So switching out the orbiter with a cargo pod like the Shuttle-C or some such should buy us an extra 60 or so tons of delivered payload. That strikes me as…useful. To continue SA Phil’s comment on reusing upper stages in orbit, my understanding of it is that the shuttles fuel tank get something in the area of 98% of orbital velocity anyway and (someone correct me if I’m mistaken) they have to waste a bit of fuel maneuvering to dump it into the Indian ocean. While I’m not the first person by any means to have this idea it always felt to me that if you were going to try and reuse upper stages then taking the shuttle tank to orbit would seem like a logical place to start. So lets say we add this all up to a shuttle tank modified slightly with an airlock in the intertank area and brackets on the interior of the tank to bolt stuff to along with a Shuttle-C cargo pod loaded with all of the stuff needed to outfit the interior the tank. Later on a different launch will send up the first crew to start assembling everything. I guess what I’m getting at is that while the shuttle never really impressed me the bits-n-pieces that make it up are useful. Maybe I’m dreaming in Technicolor here but I’d like to think such a plan might allow for us to do a bit more Cool Stuff (TM) in space on more or less the same budget and operational tempo. I remember that at one time there was a lot of talk about re-using top stage fuel tanks, including as habitat, etc. My impression is that this talk faded once people concentrated on the fact that those tanks (other than O2 tanks) had previously carried rather dangerous stuff. Yes, once exposed to vacuum you'd expect the nasty stuff to rather quickly disappear, but it may be more complicated in the real world. There is also the more mundane question of how you actually use an ex fuel tank. Cutting a hatch in it, in space, is not like doing the equivalent on the ground. Eventually we will probably do this stuff, but it will be a slow development curve. You don't need all those hunks of metal until you have an orbital industry capable of processing them. But once you have an orbital industry not using those pieces once the are in orbit would be extremely wasteful. "those tanks (other than O2 tanks) had previously carried rather dangerous stuff"
Pure oxygen is dangerous too. See: Apollo 1. NASA looked at repurposing spent stages on-orbit during their "wet workshop" studies for both Apollo S-II and Shuttle ET launch vehicle components. Aside from the residual contents problems*, the big showstopper was that they couln't figure out how to make a strucutre both safe enough to use as a propellant tank and accessible enough to insert life support and other compnents on-orbit. It turns out that enclosed volume per se is not all that valuable -- it has to be reasonably usable. *Which weren't all that big a deal, because you can effectively helium-purge and LH2 tank, and a LOX tank contains a cabin atmosphere component anyway. How difficult is it to use solidified gasses in space as propellant for a nuclear thermal drive? I have been looking into reducing the volume of tankage on my warship designs as any decent mass ratio with LH2 just leads to a balloon capped by the payload and drive on the other end. Then I tried water (much denser, but hurts a lot in terms of exhaust velocity, and has to be kept liquid). And methane (not too much hurt EV wise, but has to kept liquid again and still has 0.5kg/L). Nowhere have I found desnities for stuff like solid CH4...it seems much easier to store (thin walled tanks) and residual waste heat can warm it to slush for use as propellant. Most gasses "solidify" under extreme conditions, if at all. Dry ice (frozen CO2) is one of the few exceptions I am aware of. This may be less extreme than "metallic" solids or metastable forms of matter, but would still make a materials science and engineering headache that rocket engineers (and engineers in general) probably want to avoid. The only way to have high energy density for your spaceships (or avoid the use of huge fuel/oxidizer or remass tanks, which is essentially the same thing) is to go to some form of nuclear energy, with all the various issues that brings. All is not entirely lost, very compact and powerful nuclear thermal engines have been demonstrated in prototype form, and ISPs of up to 1200 seconds are achievable (with 800-1000 seconds being the norm) without any mind boggling science or handwaving. Thinking about this, maybe a 'space cruier' orbit to orbit interplanetary space craft would be a good next step; the central structure could be five 'standard' (i.e. ISS modules) modules arranged three parallel connected by two others so it can rotate freely; on the ends of the central module, are the propulsion module and a mission module that can be swapped out to match whatever mission profile is needed. The central crew structure would have both physical and magnetic radiation shielding, long-term life-support, and a relitively large crew; it would be used to support manned missions, recover failed robotic missions, be on-orbit C&C for probes and rovers, or whatever other mission. It would park next to the ISS(or its successor) for reconfiguration, refurbishment and resupply, and to swap crews, before going out on another mission. Each mission would last months or years, but should yeld massive amounts of data and discovery, if robotic missions are used as examples. Seven heavy cargo launches and a heavy crew launch initially, with just two additional cargo launches per mission, plus a crew launch. I think that we could at least one of these ships operational by the end of this decade. Each mission would last months or years, but should yeld massive amounts of data and discovery, if robotic missions are used as examples. If it's "orbit to orbit" -- i.e. the human crew's role will be to aim instruments at a planet -- then why have a human crew? As always, getting out of and into gravity wells is the hard part. You toss in "it would be used to support manned missions," but it's not clear to me why making this "support" function the next step for the 2010's, as you propose, would be preferable to beefing up the manned mission itself. [obRick'sPostTitle] When we get a lot better at that first hard step to orbit, then everything beyond opens up. Until then, anything beyond tends to be forced into the Apollo mode of highly mission-specific, git-'er-done hardware that doesn't make sense for recurring operations. No one disputes the case for orbit-to-orbit craft, free of the constraints of launch and landing. But the critical path to those, and to everything else we'd like to see, goes through CATS. "If it's "orbit to orbit" -- i.e. the human crew's role will be to aim instruments at a planet -- then why have a human crew?" As a proof of concept and flight hardware test, it makes sense, a la Apollo 8. Otherwise it has no real justification. What Ferrell is missing is that we just haven't achieved the level of reliability to safely reuse flight hardware. Even if we get to a place where we know enough, and it makes economic sense, I doubt that we'll reuse interplanetary flight hardware more than five or six times before retiring it. It's the same thing as launch vehicles -- just too many dynamic stresses and too much riding on your equipment reliability. Ok, let me clairify this since people seem to have missunderstood the intent of my design. The core (i.e. the crewed portion) of the ship is reusable and does not land; the mission module can be manned and/or cargo landers; the propulsion module would be swapped out after each mission. All the modules would be sized to be launched into orbit by a heavy LV. The ship could be used to travel to NROs, planets, the Asteroid Belt, where ever. The "support" function would be to transport the people and equipment from Earth orbit to, for example, Mars orbit; that some of the transported equipment would be landers is just part and parcel of the mission; also, as new propulsion methods become avaliable, they could be used just by swapping out those modules. I hope this clears up any of your misunderstanding. Your "core" should be just as expendable as anything else. There's nothing special about hab modules. Even though you could find nutty astronauts that would do it, no space program manager in his right mind is going to take the risks of reusing flight hardware on interplanetary missions. There's just not that much savings compared to the risks involved. I'm not sure that's the case. Judging from the ISS, the useful service life of a hab structure is on order of a decade or two. I think the same would be true of a hab that is safe enough for interplanetary missions at all. Yes there are counter-arguments: Mission requirements will evolve, and it could end up simpler to configure Mars II to meet its mission requirements than to reconfigure Mars I. But I don't see either one as a given. "I'm not sure that's the case. Judging from the ISS, the useful service life of a hab structure is on order of a decade or two. I think the same would be true of a hab that is safe enough for interplanetary missions at all. But I don't see either one as a given." No, nothing is a given. But if you're going to reuse just the transit hab portion, perhaps it's better to launch the hab into a cycler orbit and just use it as a transit shelter. Stopping it at Mars and Earth on every round trip doesn't make a lot of sense. (You do get bonus points for reusing shielding materials as well.) If you need orbital facilities at Mars, you put a hab in the most appropriate Mars orbit. When we're talking about reusing interplanetary spacecraft, we're at that stage of investment, right? Short answer, I don't know. But the first and foremost reason for expending vehicles today is that we would have to add Lots of Cost and Mass to get them back for re-use. If the mission architecture of an early interplanetary mission calls for the crew to leave the transfer hab and use an aerobraked capsule for Earth return, then obviously we'll kiss off the hab. This is what I'd expect for a chemfuel mission. On the other hand, if a 'fast' electric transfer vehicle is used, the Earth approach speed may be dangerously high for capsule aerobraking, while decelerating the transfer craft is less costly. So there's a greater likelihood that the transfer craft will end up in Earth orbit. In that case re-use of the hab is more viable - depending on a host of secondary factors. So I remain broadly agnostic in principle - though as a practical matter I'd guess that early generation interplanetary craft will be single-use. "So I remain broadly agnostic in principle - though as a practical matter I'd guess that early generation interplanetary craft will be single-use." One has to retain one's agnosticism WRT the midfuture when so much is unknown. My prior comments about the advisability of reusing hab or any other mission modules are strictly in the context of current or foreseeable technologies. Develop a 1 kg/kw power supply and hook it up to a big enough gang of electric motors (no need to wait for VASIMR or whatever) and you have a real spaceship worth reusing.